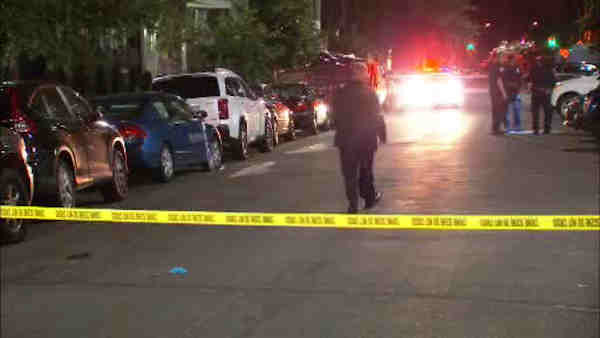 CROWN HEIGHTS, Brooklyn (WABC) -- Three men were found shot, one fatally, in Brooklyn Thursday night. At 10:30 p.m., police responded to a 911 call on Saint Marks Avenue in Crown Heights. Akaijah Evelyn, 37, of Brooklyn, was found shot in the chest. He was taken to Kings County Hospital, where he was pronounced dead. A 31-year-old had a gunshot wound to the right thigh and a 36-year-old had a gunshot wound to the left foot. They are stable.